GRETNA – A car dealership is suing a landscaping company after it allegedly repaired a truck was paid with a check returned for insufficient funds. Harvey Ford LLC and Don Bohn Ford filed suit against Garden Doctors LLC in the 24th Judicial District Court on Oct. 14. Harvey Ford and Don Bohn Ford contend that on July 28, 2014 Garden Doctors brought a 2001 Ford F250 pickup truck into their dealership to have its camshaft and other parts serviced. The plaintiff asserts that after the repairs were made the defendants made out a check for $2,037.26, which was later returned for insufficient funds. 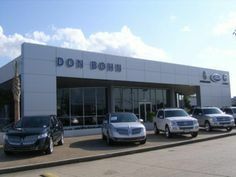 Harvey Ford and Don Bohn Ford claims that since the check was returned it has contacted Garden Doctors and its business representative Nathaniel Seales on numerous occasions to seek proper reimbursement, however no payment has been made. Damages in the amount of $4,074.52 plus court costs and attorneys fees are sought by the plaintiffs. Harvey Ford LLC and Don Bohn Ford are represented by Donna Bramlett Wood of New Orleans-based McCranie Sistrunk Anselmo Hardy.